Ever wanted to get up close to a real, living bike mechanic? Pony gives you the chance to come learn with us! We do workshop classes to teach you how to look after your whip. Bring your own bike in so your tuition is tailored to your bike, and relevant to the maintenance you’ll need to do. Beginner – We take you through all the parts of the bike, identifying moving parts and performing a safety check. 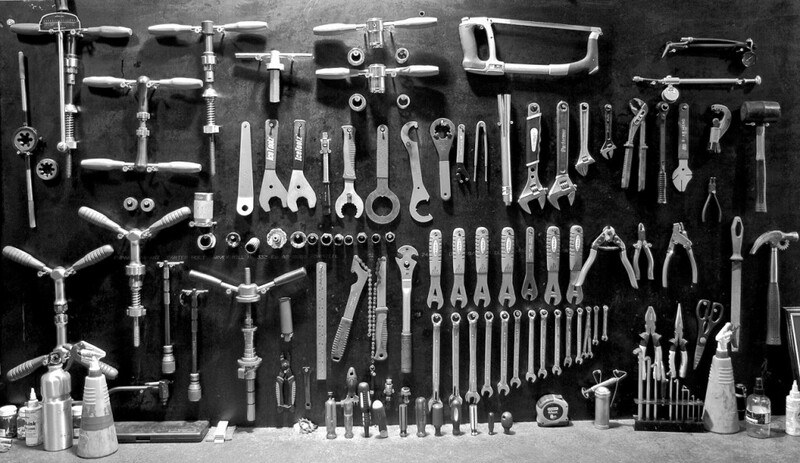 Learn about the tools used for working on bikes, and basic adjustments (gear and brake), as well as chain care. We also run you through setting up your bike to fit you properly, including seat height, handlebar position and correct positioning of brake levers and gear shifters. Intermediate – At the intermediate level, we tailor courses more to individual requirements, building on the beginner-based knowledge. We get a bit more in-depth with the tools used on bikes, and run you through brake maintenance (replacing pads and cables, removing callipers), gear workings (replacement of cables, setting and adjustment of derailleurs), adjustment of headsets and wheel hubs, and cover basic in-bike wheel truing. One on One – Want to take your skills to the next level? Spend some one on one time with us and we can teach you some of the more advanced stuff! What you cover in a one on one session is up to you, but might include things like bottom bracket servicing, drivetrain removal and reassembly, wheel building or a full bike build. We cap the numbers in group classes to 4, so that nobody is left out in the cold. As such, bookings are essential, so contact us if you’re interested! Beginner and intermediate classes are priced at $100 per session, and one on one sessions are charged at $100 per hour. We run the classes on a monthly basis, with beginners running on the first Saturday of the month, and intermediate running on the second Saturday of the month. We’ll do one on one any time you like, just get in touch.